Raspberries belong to the rose (Rosaceae) family of plants, which houses some of the world’s most beloved fruits including apples, apricots, blackberries, cherries, loquats, peaches, pears, plums, and strawberries. Almonds also belong to this diverse family of plants. Among U.S. consumers, raspberries are the third most popular berry and follow right after strawberries and blueberries. There are over 200 species of raspberries, all belonging to the scientific genus called Rubus. Fortunately, however, many of the raspberry species that are grown commercially can be placed into one of three basic groups: red raspberries, black raspberries, and purple raspberries. Rubus idaeus or European red raspberry is among the most common. Raspberries are an outstanding source of phytonutrients, and provide us with dozens of anthocyanins, flavonoids, stilbenoids, phenolic acids, tannins and lignans. They are an unusually concentrated source of ellagitannins (like ellagic acid), cyanidins and pelargonidins. Raspberries are an excellent source of vitamin C, manganese and dietary fiber. They are a very good source of copper and a good source of vitamin K, pantothenic acid, biotin, vitamin E, magnesium, folate, omega-3 fatty acids and potassium. A recent report in the American Journal of Clinical Nutrition associated the intake of flavonoid-rich foods like raspberries with a lower risk of death from cardiovascular disease. They stated that even small amounts of flavonoid-rich foods may be beneficial. One group of flavonoids in particular – anthocyanins – have been shown to suppress the inflammation that may lead to cardiovascular disease.The high polyphenol content in raspberries may also reduce the risk of cardiovascular disease by preventing platelet buildup and reducing blood pressure via anti-inflammatory mechanisms.The potassium in raspberries supports heart health as well. In one study, participants who consumed 4,069 milligrams of potassium per day had a 49 percent lower risk of death from ischemic heart disease compared with those who consumed less potassium (about 1,000 milligrams per day).5. Raspberries contain powerful antioxidants that work against free radicals, inhibiting tumor growth and decreasing inflammation in the body. Those same potent polyphenols that protect against heart disease also help ward off or slow many types of cancer, including esophageal, lung, mouth, pharynx, endometrial, pancreatic, prostate, and colon. Any plant food with skin has lots of fiber – and raspberries have lots of skin! Eating high-fiber foods help keep blood sugar stable. Studies have shown that type 1 diabetics who consume high-fiber diets have lower blood glucose levels and type 2 diabetics may have improved blood sugar, lipid, and insulin levels. 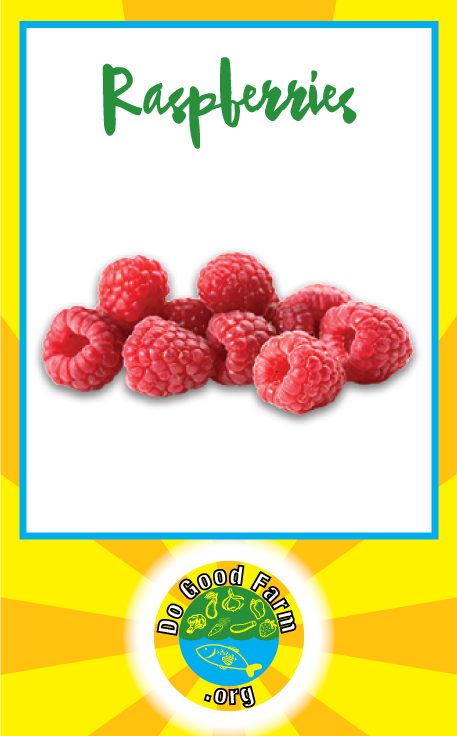 The fiber and water content in raspberries help to prevent constipation and maintain a healthy digestive tract. Adequate fiber promotes regularity, which is crucial for the daily excretion of toxins through the bile and stool. Recent studies have shown that dietary fiber may play a role in regulating the immune system and inflammation; consequently, this decreases the risk of inflammation-related conditions such as cardiovascular disease, diabetes, cancer, and obesity.According to the Department of Internal Medicine and Nutritional Sciences Program at the University of Kentucky, high fiber intake is associated with a significantly lower risk of developing coronary heart disease, stroke, hypertension, dIncreased fiber intake has also been shown to lower blood pressure and cholesterol levels and enhance weight loss for obese individuals.Foods high in vitamin C like raspberries have been shown to help keep eyes healthy by providing protection against UV light damage. Raspberries also contain the antioxidant zeaxanthin, which filters out harmful blue light rays and is thought to play a protective role in eye health and possibly ward off damage from macular degeneration.macular degeneration. We’re farmers and not doctors so none of this should be treated as medical advice for you. We’re only sharing our personal experience and testimony, which may not be relevant to your specific medical condition. Talk to your doctor about your own personal diet and care and please don’t sue us because we’re trying to help people in need and lawyers are super expensive and every dollar we spend on a lawyer can’t be spent helping others grow food. Thanks!! !